US Republican and Democrat leaders on Monday (11 March) invited NATO’s Secretary-General to address lawmakers in Washington for the 70th anniversary of the founding of the alliance – despite tensions between European allies and President Donald Trump. House of Representatives Speaker Nancy Pelosi invited Jens Stoltenberg to speak to a joint meeting of the House and Senate on 3 April, as the alliance is scheduled to celebrate its 70th anniversary and host a NATO foreign ministerial meeting on 3-4 April in the US capital. “During this critical time for the United States, NATO and the European Union, the US Congress and the American people look forward to your message of friendship and partnership, as we work together to strengthen our critical alliance and advance a future of peace around the world,” Pelosi wrote in a letter to Stoltenberg on Monday (11 March). In recent months, Trump has repeatedly questioned his country’s commitment and the value of NATO to Washington, arguing that Europeans need to step up their contributions instead of taking US protection for granted. 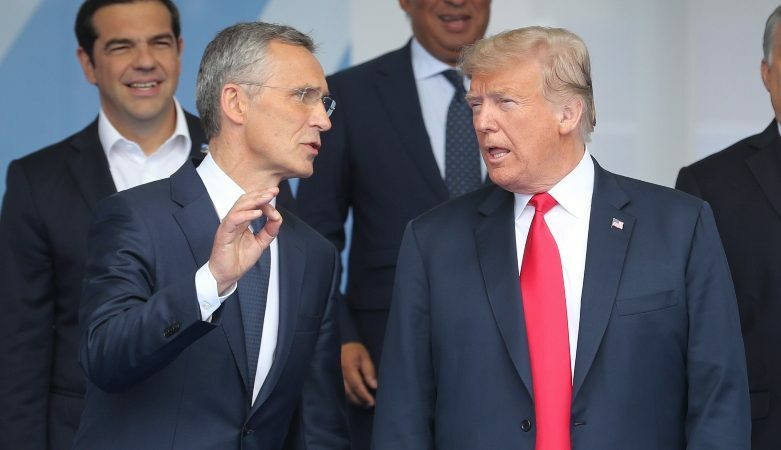 Before taking office Trump called NATO “obsolete” and soon after July’s summit he questioned whether the US would honour the alliance’s founding principle of mutual defence for its newest member, Montenegro. Many lawmakers see honouring Stoltenberg as a chance to reaffirm the American commitment to the alliance. The opportunity to address a joint meeting of Congress is one of the highest honours Washington affords foreign dignitaries. According to Reuters, Pelosi, a Democrat, consulted Republican Senate Majority Leader Mitch McConnell, as well as Kevin McCarthy, the top House Republican, and Senate Democratic leader Chuck Schumer as she planned the invitation. She sent the letter on behalf of all four congressional leaders. In February, Pelosi led a high-ranking bipartisan delegation of US lawmakers to Europe, which sought to reassure Europe of Washington’s continued commitment to transatlantic ties and NATO. 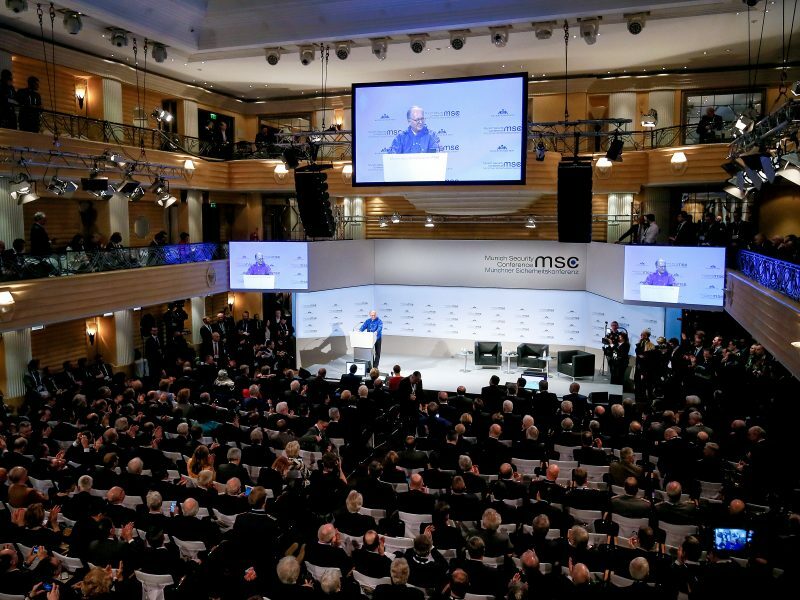 “We began our visit in Munich, where around 10% of the Congress was present, Democrats and Republicans, members of the House, members of the Senate. 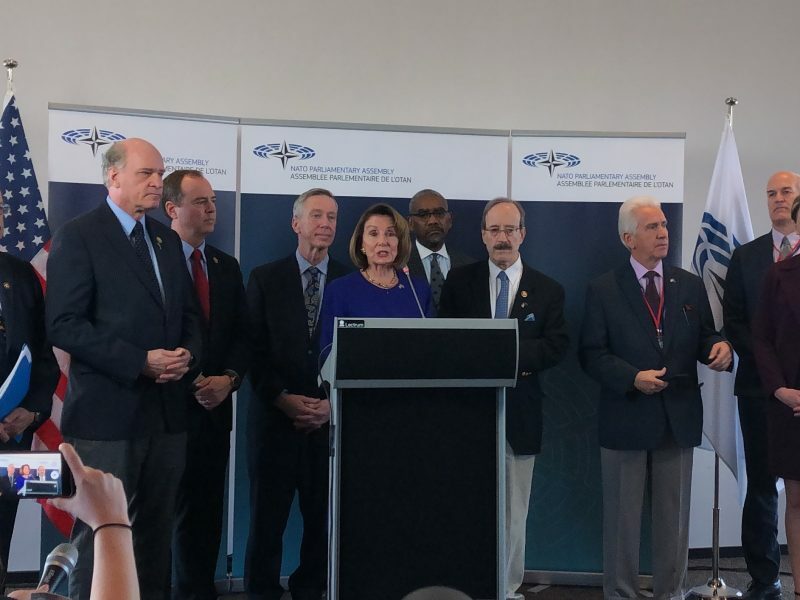 All of them here, reaffirming our commitment to the Transatlantic Alliance, our commitment to NATO, our respect for the European Union,” Pelosi told a press conference in Brussels back in February. She then also met with Commission boss Jean-Claude Juncker on Monday and foreign policy chief Federica Mogherini, and attended a two-day NATO Parliamentary Assembly. Although there had been initial plans for the anniversary summit to take place in Washington, that became increasingly unlikely early on as the transatlantic relationship suffered setbacks since NATO’s 2017 July summit. Instead, Washington will host a NATO foreign affairs ministers meeting to celebrate the signing of the North Atlantic Treaty, often called the Washington Treaty, which laid the foundations for the alliance. Stoltenberg in mid-February announced that the military alliance will additionally hold a leaders’ summit in London in December. A NATO spokesperson said no date or venue had been set yet although the challenge will be to accommodate all 29 delegation and several multinational bodies as well as media and other participants.